Robust assortment lighting provides a shadow-free room which will produce a layered couple with a robust lighting system. The robust assortment lighting involves the mixture of different types of lighting which is crucial for building a good proper lighting structure. The lighting can be fixed to different positions in the room. Out of all the rooms in your home, there is a good chance that the kitchen is where you spend a lot of your time. Not just a place for cooking and eating meals, the kitchen is also a place to gather, laugh, and share in special moments with friends and family. For this reason, if you are considering renovating your kitchen, a lot of care and attention needs to be focused on its planning and the execution. Before you begin a kitchen renovation project, here are the most vital things to consider and the most crucial questions to ask. Half the fun of buying a new house is being able to decorate it any way you choose. Before you start decorating the house, you need to consider what type of style you want in your living space and what makes you feel the most comfortable. You will have to live in your home each and every day, so it should be an oasis that you look forward to coming home to. There are many different, affordable ways that you can update the house to show off your unique style. The following guide walks you through a few ways you can make your new house feel more like your home. Restaurant businesses are dependent on branding and image. The food, the setting, and the advertisements all contribute to a single package. Well-known franchises have their logos and tag-lines and their success rides on how easy it is for them to be recognized. This kind of attention to detail might seem like a move only “big” companies make, but it isn’t. You might be a small or new restaurant, but it is never too early to set an image; furniture is one of the contributing factors to your overall brand. Nature in its truest and innate sense provides the ultimate backdrop of contemporary floral design. Infact, many are inspired to draw in on nature to influence design in the sense of fashion, fabric, architecture and interior design. However back to the basic and fundamental definition of Contemporary Floral Design is the artistic expression of how flowers are arranged and “accessorized”, together with other aesthetic enhancers and objects, to deliver a themed flower arrangement. To simply place flowers in an arranged vase can be termed mediocre. 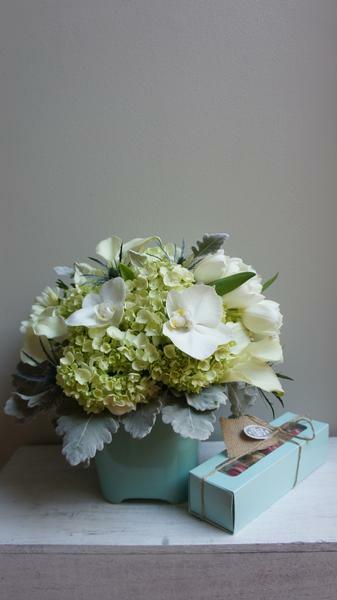 Infact, on arrival to most corporate reception areas, one is met with flowers beautifully and usually arranged. Most countries have businesses formed that are commissioned to provide such arrangements on a weekly basis. These contemporary Floral Designs can take the form of uber simple flowers arranged into intricate and considered designs that not only lend to the natural essence of the types of flowers, but also which can provide a floral arrangement with longevity. The basic understanding of flowers is essentially to establish which can be paired, whose stems can be manipulated and still allowing for the blossom to remain, and which are parasite flowers that cannot be vased together. Trinity, a company renowned for reinventing social relaxation, is proud to complete its trifecta of innovative hammocks with the introduction of two new models, Duality and Unity, which complement the company’s shared hammock experience.